Infrastructure Matters: Is Your Business Building a Solid Foundation? 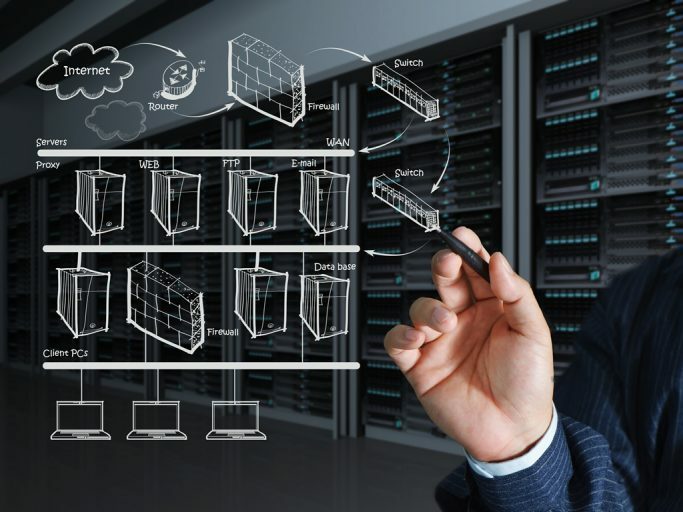 Home » Blog » Tech » Infrastructure Matters: Is Your Business Building a Solid Foundation? So you have an idea to start a business. Unfortunately, every successful entrepreneur will tell you that it is not an easy task to build a business. After you have developed your idea for a company is when the real work begins. Building a successful business can make your dreams come true, and all you need to do is start with a plan. Sit down and think out how to turn your dream into a reality, by being meticulous in your approach, and leaving no stone unturned. If you start with a strong foundation for your business, then you can weather any storms and come out on top of any ups and downs that your future business may one day see. Things are lurking around every corner that can threaten to take down your business, but if your infrastructure is strong, then you can go on with your days without worry. So what are the different parts of a company that are utilized to create a secure infrastructure? Read on to learn how you can build a solid foundation for your business. Time management tops this list because you not only need to be realistic about the time that you plan to put into your business, you also need to learn to prioritize tasks. Set goals and create lists. Then, follow those lists. Be sure to put the most critical items on the top of the list and don’t move on to the next task until you’ve perfected the job. Everyone has the same 24-hours in a day, but those who prioritize their most meaningful tasks will always be the people that achieve more. Managing your time takes great personal discipline, and if you are serious about building your business, you might find yourself unable to participate in things that you enjoyed doing before you started. If you are building a business from the ground-up, let your friends and family know that you won’t be available for a short time while you build up your company. Grab a pen right now and write down everything that you are good at. Once you’re finished, you can begin to formulate a plan on how you are going to utilize these skills to build-up your business. These skills are what make you unique and give you an edge over your competition. Once you’ve compiled your strongest assets to a list, you can begin to use them to your advantage. For instance, if you are great with money, then you can do all the accounting for your business. Maybe you’re bad with money but great at talking to people; if you can talk to people, you can convince investors to invest in your company or talk customers into purchasing your products. Having good employees is one of the essential pieces of having a strong foundational business. Hiring people that you trust can do the work and believe in your product or service are crucial for the success of your company. A company whose employees are unhappy won’t be doing as good of a job as another company whose employees love to come in early and work late because they truly are passionate about the business they work for or for the product that they sell. Use their skills in the same way that you utilize your own and make sure that they are working on the right tasks where their talents will shine. Reward your employees when they have done an excellent job and educate them through seminars, classes, and mentoring. When an employee is treated well, they will return the favor to the business in the form of profit. Businesses send and receive money through many portals; it is up to you or someone that you have hired to locate the best spots to spend your money, resources, and time. This could mean switching to another supplier, choosing a different material to make your products, or put a stop to a marketing campaign with no ROI. These four tips can take your business from having many loose ends to being a tight-knit company that makes it work in any situation. As a leader of a new business, it is up to you to remain diligent and to care for those that you have hired on to your team. If you start your business with these suggestions in mind, your company will be able to stand the test of time.